Guangzhou GELGOOG Industry & Technology Co., Ltd. (hereinafter referred to as GELGOOG) is a large-scale industrial group mainly specialized in food processing machines, covers french fries machinery,banana chips making machine, butter machinery, ice cream cone machine, packing machine and others. 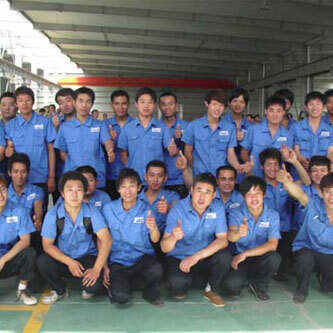 With years of manufacturing and sales experience in machinery industry, GELGOOG has achieved a good fame for providing high quality machines and best service concept of "Quality First, Service Foremost", and established a recognized brand in machinery industry. We have Co,FAT,Form A,From B,Form C,Form E,From F,Form R,COC,PVOC,SONCAP,SGS SASO,ISO,CE,etc. Please do trust us,we are determined to provide you best quality equipment. Except the production lines, GELGOOG single machines also have been exported to more than 130 countries and regions, like Australia, Brazil, Cuba, Colombia, Chile, Mexico, Venezuela, Peru, the Philippines, Kazakhstan, Britain, France, Russia, Saudi Arabia, Israel, Ghana, Sudan, Singapore, South Africa, Sri Lanka, Turkey, UK, and other markets.